Can anyone help these kittens? The contractors told the residents the cats cant come inside and the residents respected it. But the residents still played with the kittens outside and the contractors still can’t stand to see depress people happy. They called someone tomorrow to shoot the kittens. Can you help? 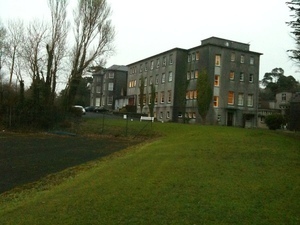 Direct Provision Centre run by Barlow Properties , Mount Trenchard, Foynes, County Limerick. A request for a comment from the Department of Justice has been made. 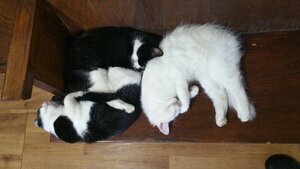 Posted in Misc and tagged kittens, Limerick, Mount Trenchard at 2:56 pm on November 13, 2018 by Bodger. irish in power will always abuse people, and/or be deeply corrupt. it’s a really horrible trait we have, dating as far back as slave drivers in the US, irish slave drivers were known to be the most cruel. My comment was as relevant as to whether or not people living in DP can keep pets as the good doctor’s non-sequitor about slavery in the U.S.
I’m sure you can volunteer to go wring their necks. Rob_G which his usual absolute lack of ability to follow simple trains of thought once they’re someone elses. You say and think things and that’s that, nothing can ever alter it or effect it, you make the lightest attempts to understand what others say and if they try to further explain it’s futile, you just do not try to understand, once you’ve made your decision on what it means, that’s it, it’s that forever. You’re disturbingly stubborn. I’ll use this as an example, ok so why I mentioned slavery in the US, i mentioned it as a back-dated example of irish being abusive in power, saying that it stems from a long way back, and is present today. Now. do you (A) understand that, or (B) Don’t really care, you’ve already decided it to mean something else. Can you back up the claim that “irish slave drivers were known to be the most cruel” with evidence? Of course he can’t. It is a textbook throwaway, unproveable, factoid. i can back it up. i’ve read one book solely on it, and two large portions of other books dealing with the subject. lots more out there on it. you clearly know how to use the internet, you’re on here, so google search “irish slave drivers”, I’m not here to provide links to you two breasticles. Everybody shut up and go read/follow @Limerick1914 on twitter for mythbusting on the Irish and slavery. 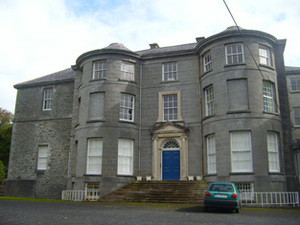 The fifth century king, Niall Naígiallach [Niall of the Nine Hostages] is the origin of the name, Uí Neill. Slavery was very common in Early Ireland and it’s frequently mentioned in the sagas and in the Brehon Laws. Also, some of the first European settlers to arrive and create what we now refer to as the USA, were Protestant Irish, and they had no qualms with exploiting their fellow Catholic Irish man or woman. Indeed; I know a little about the history of slavery in Ireland (most notably, St Patrick). And I know that, given lots of Irish moved to America, at least some of them must have owned slaves. And I don’t see the link between all of the above and the fact that people living in DP aren’t allowed to keep pets. That is all. well if you read my comment you’d see the link. instead of brushing over it and then ardently rubbishing it. ok, the link: i was referring to irish people being abusive in positions of power. i said it dates back as far as being slave drivers, and is still evident in contemporary times, the church, magadalen laundries etc., and the people running the DP seem to also have this cruelty while holding power things in them too. because they wont let them have the kittens, then they said they were coming to shoot them, and one guy kicked the kittens. you’re reaction to anything i say is “oh rubbish!” even tho it has been v simple to follow. i’ve painted it out a number of times, and you won’t just say “oh ok i understand what you mean”, coz you’re a stubborn, argumentative, conservative, ignorant fool. Wait, what, you mean we don’t allow dodgy asylum seekers to keep pets? Much like standard tenancy agreements to which around 300,000 households are subject to in this country? Disgreaseful so it is, they should bring it to the UN, or the Hague! Shooting does appear a bit extreme, wouldn’t they simply put them down. Or, more realistically, they’d be decanted to the nearest rescue/ISPCA. they are outside. OUTSIDE. You know what outside means? No landlord can stop you from feeding cats outside your house. sorry that sounded crazy. I’m having a bad day. nevertheless, if they’re outside, this is just cruelty. Not to mention cats keep the vermin away. even just the smell of kittens will discourage rats. yeah, try renting an apartment in the private sector, and see how far you get if you erect a kennel or shelter in a corner of the communal car park or garden in your complex for cats. Landlords and some tenants won’t want the cat poo, noise, (adorable attention-seeking) pestering that comes with pets even if they’re OUTSIDE. Personally, I think landlords should be more tolerant, but they’re not and I can understand where they’re coming from. This looks like dodgy asylum seekers seeking preferential treatment. And I think the shooting claim is dubious. 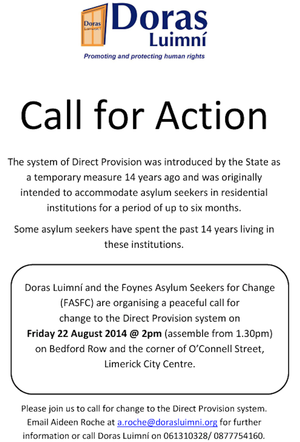 Remember, the asylum seekers are free to come and go at the direct provision centre, so hopefully one of them might try to bring the cats to a local sanctuary or ISPCA before the supposed firing squad arrives. Cat poo isn’t like dog poo…they bury it and do it out of the way, unlike dogs. “dodgy asylum seekers seeking preferential treatment” – oy vey. Or a little humanity in their otherwise damp, dismal day-to-day existence. Where is the dodgy bit coming from Eoin, Know everyone there personally ? “You’re” comment is dodgy too, Janet. As I understand it Janet, someone will be in accommodation under the direct provision system for any lengthy period of time if they are appealing a decision that their asylum application is invalid. So, a competent authority has already determined the application is “dodgy”. Maybe that word is a little pejorative, maybe “questionable” would be better. It would be misleading to say “undetermined” as a competent authority has made a determination, it’s just being appealed. ah.. the “and whats YOUR solution then” response. People always say that like you’re not allowed comment on the running of something unelss you are an expert in the field. There’s people who’s job it is, to do these things. It’s not too much to ask better of those who do not run their sectors well. But it is not up to the person requesting better standards to devise how. It is up to those in the position. I’m sorry, *shoot* the kittens? I know I shouldn’t, but this is making me giggle it’s so insane. Next step, why not just shoot the residents? Save all the hassle etc. What a bunch of sillies (BarlowProperties). BS has become somewhat unpleasant, or so it seems. the arrival of Cian, Rob_G and Ollie Cromwell have heralded the descent of the comments section into a right-wing, conservative poo show akin to the likes of The Journal comments section. Wait a minute, wha’did I miss? What has slavery got to do with stray kittens? You must not be able to follow ‘simple trains of thought’ either, Murtles. or comment threads and where to find them. great example here, you’ve seen ‘slavery’ somewhere, you’ve thought “that seems wildly out of the arena of kittens” but instead of reading the comment/s. just bull on in with “whats this nonsense!!? i, the person who has not read the comment, has made a decision on your opinion that i did not read” .. you’re in good company with Rob_G. That’s pretty much his MO.